You are caught in stop-and-go traffic on the freeway, when you suddenly get hit by the car behind you. At first you think the accident is over, but you then feel a secondary impact as another car hits the vehicle that rear-ended you. This chain reaction event is known as a multi-vehicle accident or a multi-vehicle pile-up. Multi-vehicle accidents happen when two or more vehicles collide during the same incident. Vehicles may be hit several times, increasing the likelihood of severe injuries or even death. These accident claims are also some of the most complicated when it comes to negotiating a settlement. Poor merging or lane changing decisions. Your attorney will negotiate with all the parties to come to a fair agreement. The insurance policies of all involved parties will be reviewed in order to determine the best way to proceed with compensation. 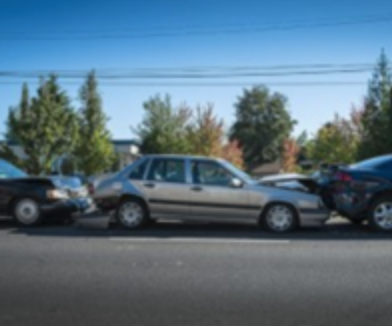 One of the biggest challenges for any attorney is to prove liability in multi-vehicle claims. These cases tend to have several defendants and plaintiffs. Everyone involved is seeking the most compensation, but there usually isn’t as much insurance money to go around. If you were involved in a multi-vehicle accident, hiring an attorney as soon as possible is a very wise decision. Your attorney will evaluate the facts of the case, go over witness statements, and he may even bring in engineers to reconstruct the sequence of events. The goal is to make sure you are awarded a fair settlement for your injuries and other damages. Multi-vehicle accident claims often take longer to resolve than other types of accident claims due to the complex facts involved. Your attorney will investigate including taking the time to speak with the other drivers involved, determining all who may be liable. Dealing with multiple insurance companies can also be tedious. Your attorney will handle all of this for you, reducing your stress level, and allowing you time to heal.